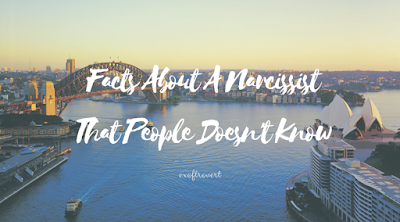 Facts About A Narcissist That People Doesn't Know - Who has never heard the word narcissistic? I believe everyone has heard and even used the word. 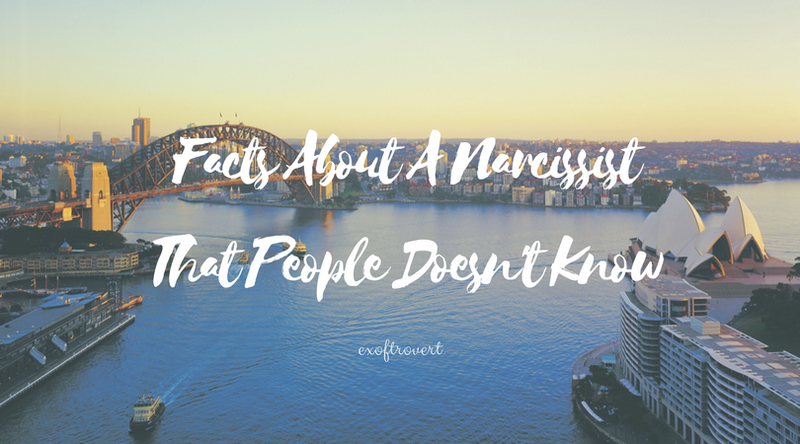 But do you know what the narcissist really is? Narcissism in Dutch is the equivalent of the word as well as the interpretation of the excessive person in loving oneself, and the person experiencing this next phenomenon will be referred to as narcissists of the word narcissist. The following is information about narcissists that many people do not know. First, DSM (The Diagnostic and Statistical Manual of Mental Disorders) mentions that this phenomenon (narcissistic) is a personality disorder.Not enough with a personality disorder, the more surprising thing is that everyone has the characteristics of a narcissist. Well, here's the following based on the leading website, Life Hack, some signs possessed by narcissists. A narcissist feels that they are too unique to be understood by others. Do not want to show weakness to others. They are afraid of what others think about them, so the narcissists prefer to behave that they are better than others by trying not to display any flaws. Do not want to be aware of the feelings and needs of others. The only thing they want is to be in the spotlight and the attention of the crowd. Clever manipulating others for his own benefit. In some cases, they know how to influence others to get what they want. Narcissists think and feel things differently from those who are not narcissists. A narcissist has a different perspective to react to a problem. Zari Ballard in his book Narcissism in a Nutshell even tried to answer some questions with the narcissist's point of view. Are they aware that they belong to a narcissist? We really do not care about what other people feel. We enjoy the response of others who say we are cold people. All we know, a narcissist does not want to turn into something else. Even many of us feel that we do not have any issues with this personality. We can have control over our lives by becoming a narcissist. Does a narcissist understand the difference between wrong and right? A narcissist knows exactly what is wrong and right as well as the understanding of cause and effect. So they also understand that their way of making decisions about things sometimes causes problems for others. But they still feel indifferent to the social circumstances around them. The effective way to deal with a narcissist is by not trying to change it. Rather than trying to change their position and choice in attitude, it would be better if we could accept them how they would like to be accepted. They do not have guilt on others, but they care what other people think about them, therefore, if we want to make them realize that they are making a mistake, it is better to ask them to think about what others think than to ask them to think What others feel. One thing we need to keep in mind is that a good social relationship is mutually beneficial. While having a serious relationship to narcissists is a relationship in which we must be prepared to continue to support those who have long-term exhausting effects. If they do something that begins to make us feel uncomfortable or even begin to doubt ourselves, then we know we have to start moving away. Well, hope the information is useful for all who read it.